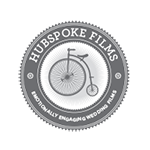 Hubspoke Films is a wedding videography business based in Buffalo, NY servicing weddings throughout the local area, including the Rochester area, Southern Tier and Niagara County. Out of the 7.4 billion people in the world, you found each other. You’re ready to say, “I do” and start a new chapter in your lives. Wedding films should be more than just cake, dresses and flowers. We create wedding films that not just document your special day but tells the story of your important, crazy, happy and emotional day. This is a great way to tell your personal story, literally. We’ll spend a couple hours at a special location of your choice (e.g. location of your first date or engagement or somewhere you both love to spend time at). We’ll then interview both the bride and groom to be in a “he said/she said” interview fashion. Afterward, we’ll hang out and film you two engaged in your favorite activity (e.g. cooking, walking through the park or boating)! We’ll produce a beautiful 4-5 minute love story that can be shared with friends and family and remembered for a lifetime. In addition, we’ll also incorporate parts of your interview and engagement highlights in your wedding film extending playtime and creating a completely unique story. All raw footage and audio files (See Storage/Delivery for options). We will attend the formal session and location session. Cherish and store your video on this beautiful keepsake USB thumb drive made from Maple wood and stained in a beautiful finish to compliment your beautiful day. Client to provide hard drive with a minimum of 300gb of storage space or purchase this affordable option. Average file size of raw footage, audio and music is approximately 300-350gb. Non-refundable $350 deposit required to reserve your date. Balance is due two weeks (14 days) prior to your event day. Travel and lodging fees apply for events 50mi+ outside our local coverage area from area code 14221. *Ceremonies lasting longer than 30 min please add $100. 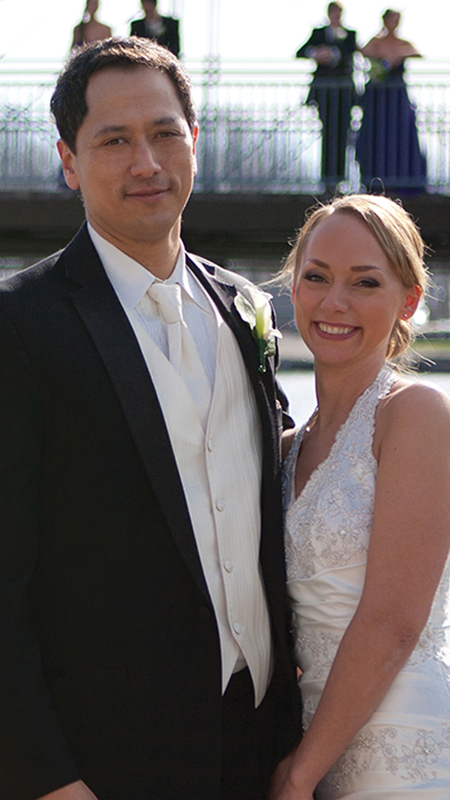 Hubspoke Films is a husband and wife team consisting of Jeff and Andrea Orlowski. We married in Buffalo, NY among close friends and family. We made promises to each other to “love and cherish,” “For better or for worse,” and “Til’ death do us part.” It was a day full of laughter, tears, friendship and holy cow, it went by fast. To this day, we are huge fans of love and weddings. It’s a day where two people get to do what makes their day memorable and unique for them. It’s a day full of joy, tears, family, friends and love. We cherish being part of this special day and witnessing the commitment two people make to each other. It’s a responsibility we don’t take lightly. We care a lot about making your wedding film amazingly awesome for you. Our films will take you back to one of the most important days in your life. This is why we make wedding films. This is what we love. At Hubspoke Films, the kind of work we want to produce is based on personality and emotion. We work with couples who are excited to tell their story and people who are crazy in love with each other and life. Like what you see? Let’s talk about your wedding!